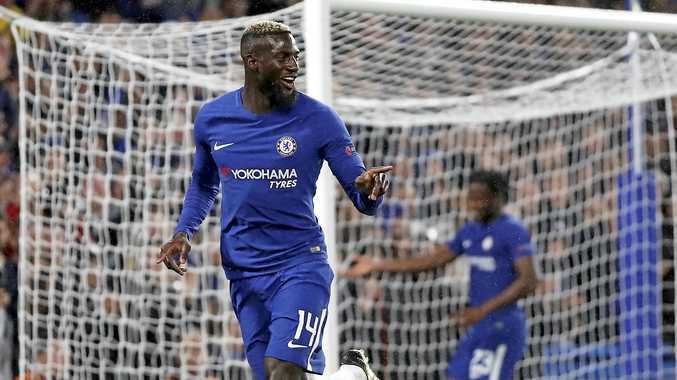 CHELSEA made a swaggering start to its Champions League challenge as memorable strikes from Pedro and Davide Zappacosta inspired a 6-0 rout of Qarabag. Antonio Conte's side were in businesslike mood against the minnows from Azerbaijan, with Pedro's long-range effort putting them ahead early on at Stamford Bridge. Cesar Azpilicueta, Tiemoue Bakayoko and Michy Batshuayi were all on the scoresheet in the second half to give Chelsea its joint biggest Champions League win. Manchester United manager Jose Mourinho said he did not know how seriously Paul Pogba had injured himself after the France midfielder limped off in the 3-0 win over Basel. Making his debut as United captain, Pogba lasted just 18 minutes before being forced off by an apparent left hamstring injury, with Marouane Fellaini taking his place. "I don't know obviously, but by experience, just by looking and feeling, it's a hamstring,” Mourinho told reporters at Old Trafford. Fellaini, Romelu Lukaku and substitute Marcus Rashford scored as United marked its return to the competition with a straightforward win. Neymar led Paris Saint-Germain to an emphatic 5-0 win at Celtic as the French side's formidable attacking lineup tore the hosts' defense to shreds. The Group B match at Celtic Park was one-sided and PSG led 3-0 at half-time with goals from Neymar, France forward Kylian Mbappe and Uruguay striker Edinson Cavani. Defender Mikael Lustig scored an own goal with seven minutes left and Cavani completed the rout with a diving header. Lionel Messi finally scored against goalkeeper Gianluigi Buffon as Barcelona beat Juventus 3-0. Messi grabbed his 95th and 96th goals in the Champions League, breaking the deadlock just before the end of the first half in the Group D game. After he had hit the post and played a part in Ivan Rakitic's second goal, Messi beat Buffon again to round off the commanding win. Messi's goals were his first ever against the 39-year-old Buffon, who had kept him without a goal in three previous meetings.